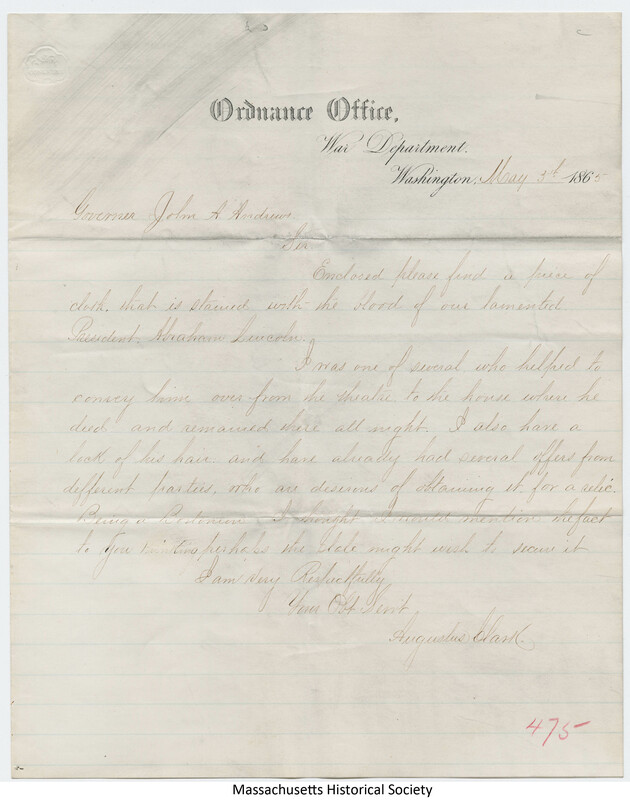 Augustus Clark, a War Department employee,sent this letter to the Governor of Massachusetts, John A. Andrew along with a small piece of cloth that was stained with the blood of Abraham Lincoln. Clark was one of the people who moved Lincoln from Ford's Theatre to Petersen's boardinghouse. different parties, who are desirous of obtaining it for a relic. to you thinking perhaps the state might wish to secure it.